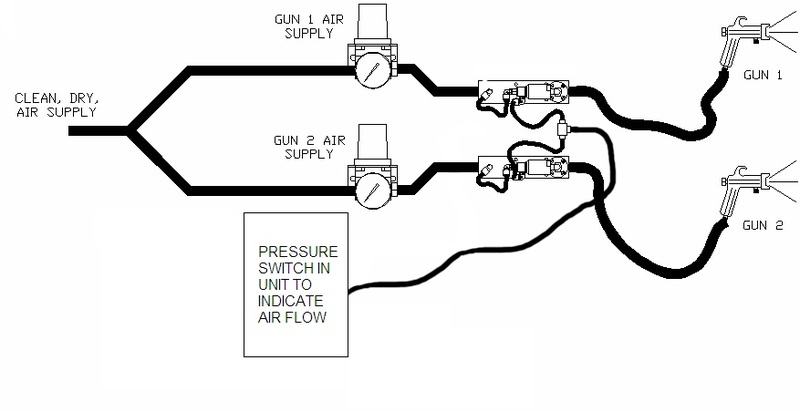 A one of a kind device, the Autoquip Air Flow Switch is a strictly pneumatic system used to detect air flow in a line. As originally designed, it is used in Class I hazardous environments primarily on manual and automatic paint spray guns. The Autoquip Air Flow switch provides an air signal that does not require expensive electrical devices or National Electrical Code (NEC) Class 1 electrical installation. 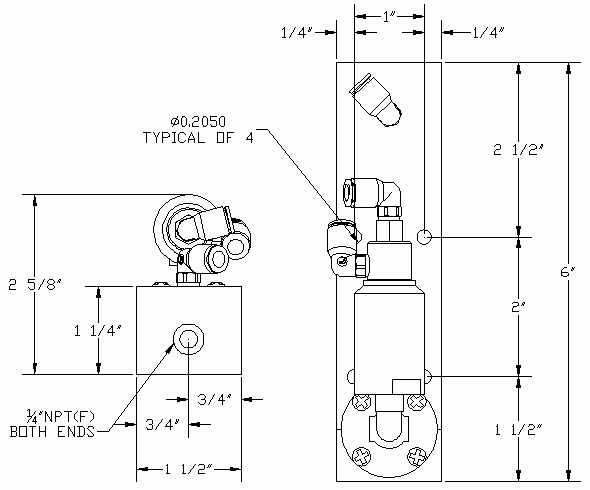 In the Class 1 spray booth environment, one or more spray guns are fed by a paint metering system like the Autoquip Plural Component Machine requiring a “Gun On” signal. The guns are located throughout the spray booth making the installation of alternative electrical air flow switches expensive.